President Trump's attack on Secretary of State Rex Tillerson has Mensa saying "it would be fun" to have them take one of their IQ tests. Mensa's response comes on the heels of Mr. Trump saying in an interview published Tuesday that he's smarter than the top member of his Cabinet as he was reacting to a report that Tillerson previously called the commander in chief a "moron." On Tuesday, the high IQ society Mensa offered to administer the test. Charles Brown, the communications director for the group, joined CBSN's Elaine Quijano so she could try to answer the type of questions that would be asked. "I'm looking at the answer ... that's not what I came up with ..." Quijano said about question one and added, "See this is the difficulty of live television Charles ... it's forcing me to think in a way that is just completely foreign to me." Brown mentioned that some of the questions to be eligible for Mensa may seem fairly easy, but you may need to answer 80 questions in 30 minutes. Brown said that there are a number of well-known people part of Mensa including actors Nolan Gould and Geena Davis and lesser-known members "from all walks of life." There are an estimated six million American's eligible for Mensa membership. Brown said neither the State Department nor the White House took up Mensa's offer directly. "When we were asked earlier about President Trump's IQ and IQ testing ... we just thought it would be fun to invite the president and Secretary Tillerson to take our test -- not as a challenge or any kind of political commentary -- really it's just more about highlighting a special month for us," Brown said. "October of 1946 was when our organization was founded and every October we take advantage of that to encourage admissions tests." Brown said there are more than 150 tests scheduled across the nation -- including some in the Washington, D.C. area. Mensa member IQs represent 2 percent of the population with about 134,000 members from 100 countries. "Anyone who is interested in their IQ can schedule that," Brown told CBSN. He said to visit their website for more information. Earlier Tuesday, when asked about Tillerson's IQ at a State Department press briefing, spokeswoman Heather Nauert said simply, "It's high." She described Tillerson as someone "who can put things together" due to his background as an engineer, and said he felt no need to justify how smart he is. 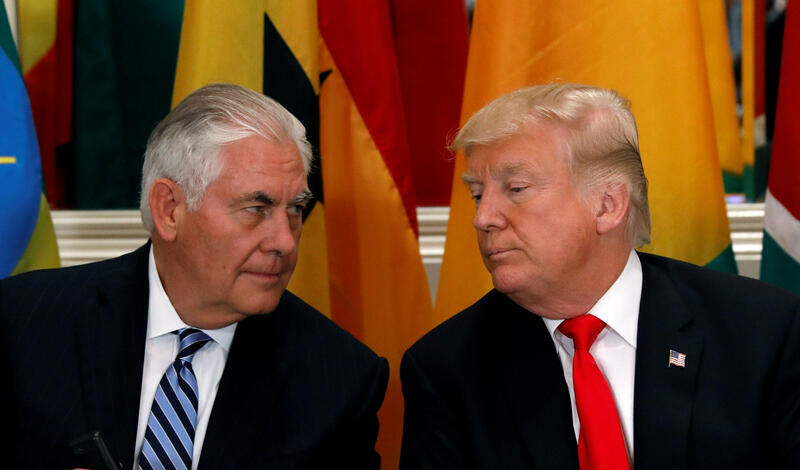 "The president is allowed to joke," Nauert said, and Tillerson is "more than fine with that."